Gauge 11 stitches, 16 rows to 10 cm/4"
Lovely thick yarn made from 100% pure wool with a simple rustic look. 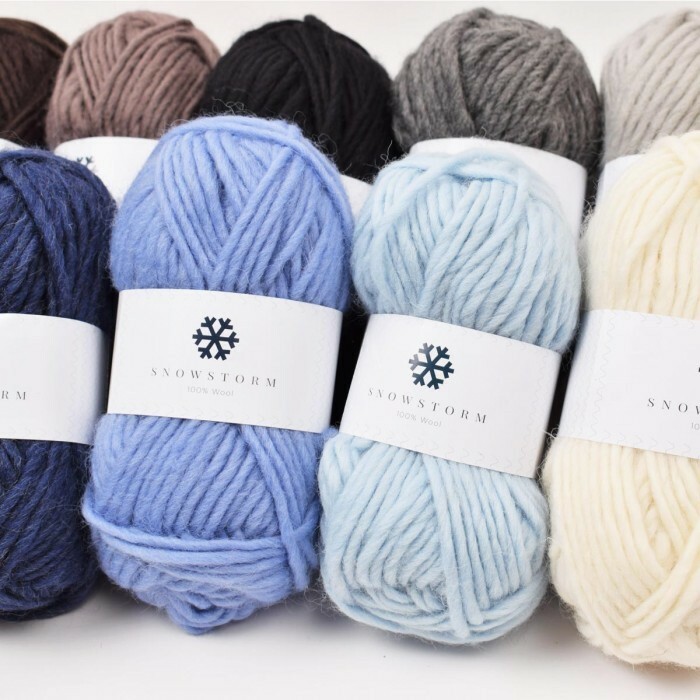 Snowstorm is loosely spun which makes for a very beautiful full look in the finished project, knitted and crocheted alike. 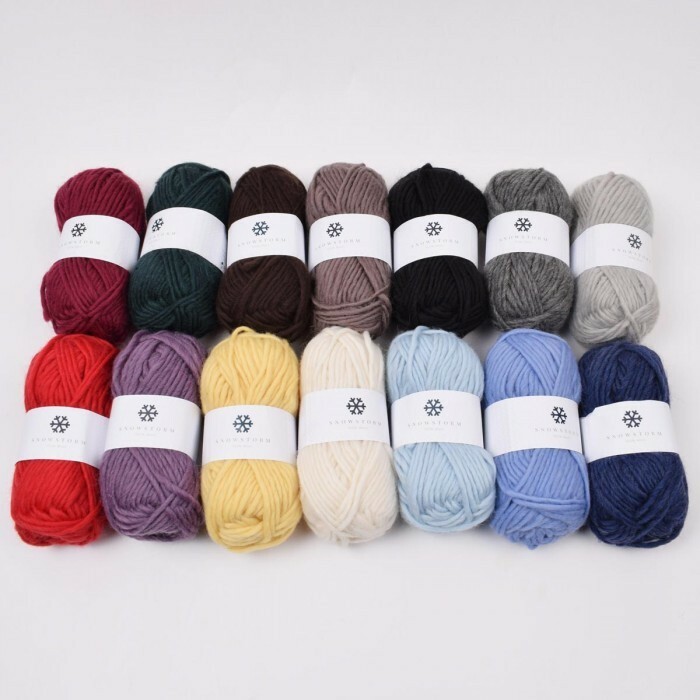 The yarn is easy to work with and you will make fast progress on a large needle or hook size. You can easily vary the gauge of your knitting or crocheting simply by switching up or down between needle / hook sizes 7 and 9. 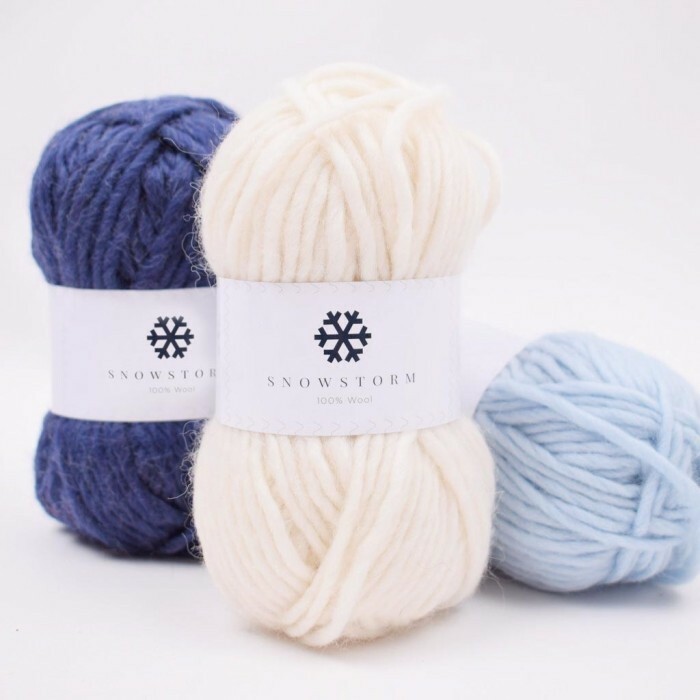 Snowstorm is the perfect choice for a toasty poncho, a thick jumper or coat, or try knitting a classical patterned yoke sweater. 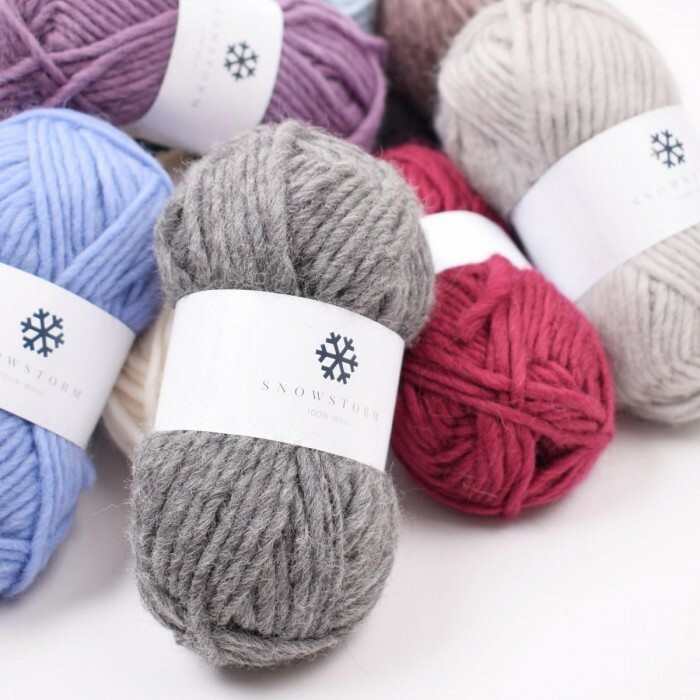 The pure wool will keep you warm in cold weather and can also pass as outerwear when it starts to warm up outside. 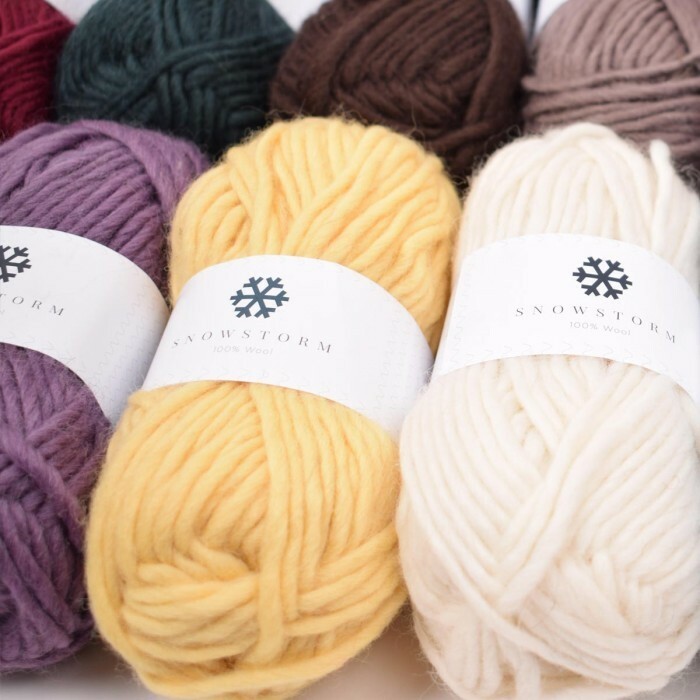 Besides from the washing and dye, Snowstorm is not processed and can be used for fulling or felting for example slippers, hats, mittens, or a wide range of exciting home decor.